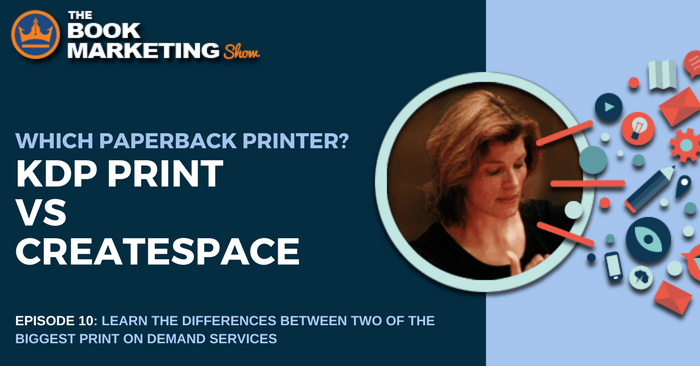 In this lesson, you will learn the difference between the print on demand services, KDP Print and Createspace. Both are owned by Amazon, however, there are differences between the two that all authors should know about. Through this episode , hope you’ll be able to know which one you should use, and if you have used the other previously, is it worth switching your books over. For more in-depth information on the current comparison of the two POD’s, be sure to check out my full article on the two here. Gundi Gabrielle, aka SassyZenGirl loves to explain complex matters in an easy to understand, fun way. As a Top 100 Business Author & Entrepreneur, she’s helped hundreds of newbie authors reach #1, outranking the likes of Tim Ferris, John Grisham, Hal Elrod and Liz Gilbert. When she is not writing books or enjoying a cat on her lap (or both), she is passionate about exploring the world as a Digital Nomad, one awesome adventure at a time. More from Gundi in her newest book INFLUENCER FAST TRACK and this FREE Training Video.